Arizona State University and Harvard University researchers also discovered through modelling analysis that the rate of rise in cases significantly increased in August in Liberia and Guinea, around the time that a mass quarantine was put in place, indicating that the mass quarantine efforts may have made the outbreak worse than it would have been otherwise. Deteriorating living and hygiene conditions in some of the quarantined areas sparked riots last month. Sierra Leone began a three day country-wide quarantine today, where all citizens have been asked to stay at home, said Sherry Towers, research professor for the ASU Simon A. Levin Mathematical, Computational and Modelling Sciences Center (MCMSC). “There may be other reasons for the worsening of the outbreak spread, including the possibility that the virus has become more transmissible, but it’s also possible that the quarantine control efforts actually made the outbreak spread more quickly by crowding people together in unsanitary conditions,” Towers said. The study, “Temporal variations in the effective reproduction number of the 2014 West Africa Ebola outbreak,” is authored by Towers, Oscar Patterson-Lomba of the Harvard School of Public Health and Carlos Castillo-Chavez, ASU Regent’s professor and MCMSC executive director. Researchers assessed whether or not attempted control efforts are effective in curbing the ongoing West African Ebola outbreak that has spread over a large geographic area, causing thousands of infections and deaths. Because the outbreak has spread to densely populated areas, the risk of international spread is increased. Also compounding the problem is a lack of resources for effective quarantine and isolation in the under-developed countries that have been affected, and the high mobility of the population in a region with porous borders, according to the study. “No licensed vaccine or specific treatment for the disease is currently available. This leaves improved hygiene, quarantine, isolation and social distancing as the only potential interventions,” Castillo-Chavez said. “Improved control measures must be put into place.” On Tuesday, President Obama announced that 3,000 US troops and medical personnel would be sent to the region to help control the outbreak, he added. 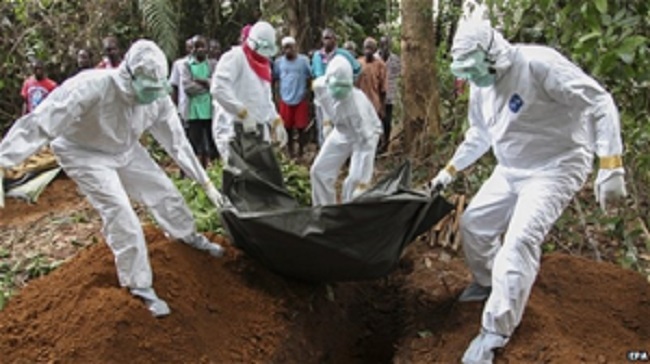 Researchers examined the current outbreak data for Guinea, Sierra Leone and Liberia through statistical research methods up until Sept. 8, 2014, as estimated by the World Health Organization. The analysis examines the local rates of exponential rise to estimate how the reproduction number of cases appears to be changing over time. Calculations showed a range of 6,800 predicted new cases at the upper end of the spectrum and 4,400 on average. The study was funded by the National Institute of General Medical Sciences at the National Institutes of Health.